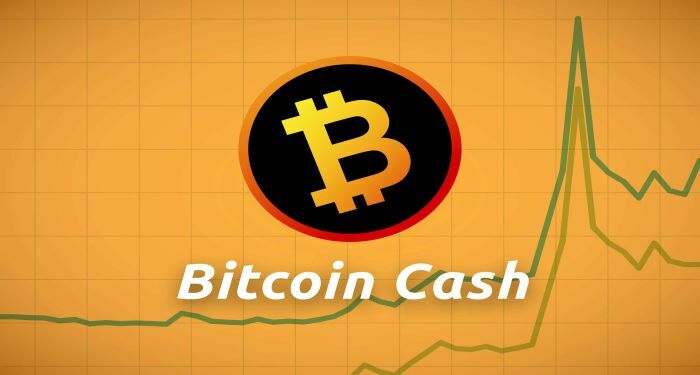 The price of Bitcoin Cash was unable to clear the resistance at $650 and declined significantly against the USD. A Crucial bearish trendline that had resistance at $525 was formed and the trading pair moved down by up to $100. While the price is currently attempting an upward recovery, the sellers are most likely going to show up around $525 and $550. The price of Bitcoin Cash formed resistance at $650 and $645. The price of Bitcoin Cash fell from $650 to $500. It even broke below $500 trading near the $485 support level before resuming an upward correction. A crucial bearish trendline that had resistance at $525 was formed on the hourly chart. If BCH is able to break this significant trendline, it will most likely move toward $550. The next hurdle buyers will face will be at $565. This hurdle also represents the 50% Fibonacci retracement level of the last fall from $648 to $485. If BCH is unable to move above the resistances at $525 and $550, it will most likely fall below $500 again. This is according to the price analysis of Aayush Jindal on Newsbtc. From the technical charts. Bitcoin Cash BCH is facing selling pressure. All recovery attempts are capped near $550, $530, and $525. At the time of writing, BCH was trading at $498.09. This indicates a 5.30% fall against the USD and a 5.41% fall against Bitcoin. The MACD on the hourly chart is currently bearish and the relative strength index is below 40. The significant resistance is at $525 and the significant support is at $500. The trading volume within a 24 hour period is $565,681,291 while the total market capitalization is $8,633,585,873. Bitcoin Cash has a maximum supply of 21,000,000 and a circulating supply of 17,333,513. The next few trading sessions will determine if the price action of Bitcoin Cash will change or not. We would know before the end of the week.